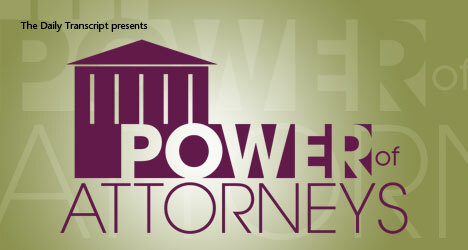 This special report highlights San Diego lawyers and legal teams who are raising the bar and making headlines. See corporate counsel finalists here. The question is a common one for many corporations in these legally complex and highly litigious times: Should we seek outside counsel from high-powered law firms, or work to develop an in-house law department with intimate knowledge of the company's business? For Sempra Energy (NYSE: SRE), the choice was the latter. The American Bar Association's ethical rules recommend that lawyers provide a minimum of 50 hours of pro bono legal work per year. Locally, one San Diego attorney has far surpassed this recommendation. Can your business thrive under California's new e-discovery rules? If someone offered you a good way to lose a lawsuit before it started, regardless of whether you were right or wrong, would you take it? That is exactly what you are doing if you ignore California's new discovery rules on electronic data (also known as e-discovery). NEW ORLEANS -- Lawyers representing homeowners and homebuilders who used drywall suspected of causing corrosion and possible health risks say they expect Chinese companies that made the wallboard to ignore hundreds of lawsuits filed against them in U.S. courts. ENGLEWOOD, Colo. (AP) -- Global payment services company Western Union Co. (NYSE: WU) said Friday it won a jury verdict in a patent infringement lawsuit against MoneyGram Payment Systems Inc.
RICHMOND, Va. -- A federal appeals court last Thursday tossed out a $5 million verdict against fundamentalist Christian protesters who carried signs with inflammatory messages like "Thank God for dead soldiers" outside the Maryland funeral of a U.S. Marine killed in Iraq. WASHINGTON -- Former Attorney General John Ashcroft and a leading Bush administration legal hardliner face the rare prospect that they could be held personally liable in U.S.lawsuits that allege violations of individuals' rights in the aggressive, post-Sept. 11 actions to prevent another terrorist attack. NEW ORLEANS -- A federal jury last Thursday rejected a New Orleans family's assertions that the government-issued trailer they lived in after Hurricane Katrina exposed them to dangerous fumes, in the first of several trials that could lead to hundreds of similar claims being resolved. SACRAMENTO, Calif. -- Despite industry objections and threats of lawsuits, California air regulators on Friday approved the nation's first statewide carbon fee on utilities, oil refineries and other polluting industries. MILWAUKEE -- A federal lawsuit is simmering between two marketing companies -- A Hundred Monkeys in California and 100 Monkeys in Wisconsin. The largest set of improvements in the history of San Diego International Airport -- known as The Green Build -- means big opportunities for local small, disadvantaged, minority/woman-owned and disabled veteran businesses in the San Diego region. In the last 18 years, Wilson Turner Kosmo LLP has developed a reputation as a firm of smart, practical and experienced lawyers who bring real value to its clients. The traditional reason for filing for a patent on an invention is to prevent others from selling or using the invention or a potential substitute for the invention. Yet, there are many other roles patents may serve. As part of a research team that recently conducted a wide-scale nationwide survey -- the 2008 Berkeley Patent Survey -- on the use of patents by startup companies, we found that many companies use patents in nontraditional, so-called "strategic" ways. We also found that many managers and in-house counsel are relatively unaware of the variety of strategic uses of patents. Following are the 10 most common patent strategies. Most law students don't take courses in taxation and securities, so how do you provide them with the basic principles they need to form business entities? California Western School of Law professor Scott B. Ehrlich addresses this need in legal education with his latest scholarly work. The winds of change are blowing in the legal profession. Rates and salaries at big firms continue to escalate - even as the economic crisis persists. Moreover, job satisfaction for lawyers continues to decline, as billing and revenue pressures require more time and effort to support firm financial goals. Is it important for lawyers to incorporate philanthropy into their practices? Unequivocally, "Yes." The reasons, though, may surprise you. Attorney Lisa Martens, who heads the West Coast trademark practice for Fish & Richardson, one of the world's largest intellectual property firms, recently made a presentation to the San Diego Chapter of American Corporate Counsel (ACC) about how companies can effectively trademark their products in cost conscious ways. The economic meltdown has brought many new challenges and hurdles to the marketplace. For lawyers, these come in the form of an increase in legal malpractice claims. Corporate general counsel certainly feel as if their departments have been especially hard hit during this period. A recent survey of general counsel by Altman Weil revealed that approximately 75 percent have faced overall cuts in their legal department budget in 2009. With revenues shrinking, all corporations are taking a hard look at "non-critical expenses" and CEOs and CFOs may often perceive that a company's legal expenses fall in this category. However, savvy general counsel with the appropriate knowledge, foresight and planning can take steps to change this view by other senior managers. With the number of green projects on the rise as more developers and real estate professionals seek to "green" their projects, there is a growing need for lawyers who can help navigate the legalities of going green, specifically in regards to Leadership in Energy and Environmental Design (LEED), an internationally recognized green building certification system. When Walter Scott couldn't find a legal group geared specifically for military veterans, he decided to fill the void himself. The San Diego city attorney’s office is making changes to its management positions, City Attorney Jan Goldsmith announced Thursday. David Casey will receive a lifetime achievement award from a statewide consumer advocacy group this Saturday and a top honor from the American Bar Association next month. Judge Kevin A. Enright will become the new presiding judge of the San Diego Superior Court on Jan. 1, the court announced Tuesday. Federal, state and local law enforcement authorities are joining forces for a special initiative aimed at curbing the misuse of stimulus funds. The California Supreme Court on Wednesday adopted a rule requiring attorneys who don't carry legal malpractice insurance to inform their clients that they don't have it.